Feuer Requests Answers to Concerns Raised by Investigation of San Bruno Pipeline Rupture. Assembly Member Mike Feuer (D-Los Angeles) has asked the California Public Utilities Commission (CPUC) to provide information about the safety of gas pipelines in Feuer’s district after a devastating explosion in San Bruno, California raised questions about the safety of aging pipeline infrastructure. In a letter dated June 10, 2011, Feuer called for the CPUC’s assistance in obtaining answers to a number of specific concerns identified by the National Transportation Safety Board (NTSB) in its investigation of the pipeline rupture in San Bruno. After the San Bruno disaster, Feuer’s office met with representatives from Southern California Gas Company (SoCalGas), whose pipelines serve most of Southern California, to discuss issues of pipeline safety. This session, Feuer supported Assembly Bill 56, legislation designating the CPUC as the state authority responsible for the development and administration of a safety program for natural gas pipelines. Feuer’s current request to the CPUC seeks information that would increase transparency and communication between SoCalGas and the communities it serves. “I am asking for the CPUC’s help to gather information about SoCalGas pipelines to increase public awareness and promote industry practices that will contribute to safer communities,” Feuer stated. Has SoCalGas identified all gas transmission lines in the District that have not previously undergone a testing regimen designed to validate a safe operating pressure? What steps has SoCalGas taken to ensure it is basing operating pressures on accurate information contained in its records? Where are the high consequence areas (HCAs) located within the 42nd District? Have residences, businesses, schools and other institutions been made aware of their proximity to the HCAs? Does each high-pressure pipeline identified by SoCalGas pursuant to the NTSB recommendations have an automatic or computerized shut-off valve? If not, why not, and when could a plan be developed to install and pay for such valves? A complete copy of Feuer’s letter to the CPUC can be found here. The 42nd Assembly District includes all or part of the Los Angeles neighborhoods of Sherman Oaks, Studio City, North Hollywood, Valley Glen, Valley Village, Toluca Lake, Universal City, Griffith Park, West Los Angeles, Brentwood, Bel Air, Holmby Hills, Beverly Glen, Westwood, Century City, Hollywood, Fairfax, Hancock Park, Los Feliz and the Cities of Beverly Hills and West Hollywood. Follow-up article from a recent MATCOR Blog Posting: A pipeline which caused the largest oil spill in Alberta since the 1980s likely will remain out of service until the end of June, said operator Plains All American Pipeline. The parent of operator Plains Midstream Canada said Thursday dig operations to check pipeline integrity along the northern portion of the 187,000 barrel per day line Rainbow pipeline will continue until at least the end of the month. The line, which runs from Zama to Edmonton, has been shut down since rupturing late April near Little Buffalo in northwestern Alberta. At least 28,000 barrels of crude were spilled into boggy muskeg, flowing to a beaver pond where it was contained. 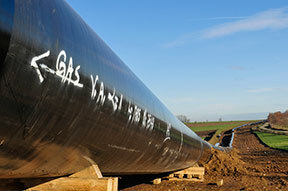 The rupture was caused by soil settlement after a maintenance program that allowed a section of the pipeline sag, according to initial reports. Plains was ordered by the Alberta Energy Conservation Board to check along the entire portion of Rainbow’s 20-inch line, from Zama to Nipisi in north-central Alberta, as part of the restart plan. The extended program came after the operator found a crack on a weld seam approximately 25 kilometres south of the original break. “We asked them to do two dig programs and we are waiting for the results of the programs,” said Kim Blanchette, spokeswoman with the ERCB on Thursday. After the April 29 spill, Plains identified five areas that has similar maintenance to the failure site, Blanchette said. The discovery of a crack downstream of those areas prompted the regulatory to call for a second, random dig program. Plains said its digs were going slowly due to the remote locations of the sites, as well as the forest fire threat and bad weather. “We are working to complete the remaining digs by the end of June,” the company said in an e-mail. It said it did not have a firm timeline for the restart of the line. Plains said it expects repair and remediation costs of the Rainbow pipeline to range from $64 million US to $75 million US, with insurance covering the bulk of the expense. Operations on Rainbow’s 24-inch line from Nipisi to Edmonton started soon after the spill was detected, then interrupted for 10 days after forest fires caused power failures in the region. The outage of the pipeline’s southern leg prevented delivery of about 150,000 barrels a day of heavy crude to the Edmonton, Alberta, refining and pipeline hub. The northern section of Rainbow, which was built in the 1960s, carries mostly conventional crude from northern Alberta fields. It was moving about 75,000 barrels a day at the time of the rupture. In May Enbridge Inc. also reported a major leak on its Norman Wells oil pipeline, which feeds directly into the Rainbow line. The spill, in a remote location of the Northwest Territories, could be as large as 1,500 barrels, Enbridge recently disclosed. The 39,400 barrel per day line flows oil from Imperial Oil’s processing facility in Norman Well, NWT to Zama. Imperial had to reduce production on the Rainbow outage. When the Enbridge line started flowing again at reduced capacity, the company was able to add some barrels to the pipeline. Imperial has been storing production at Norman Wells, increasing storage capacity by re-certifying tankage left over from the sites days as a refinery, Harding said. Other volumes are flowing to Zama, where it is being trucked to market. The outages have had minimal impact on cash crude prices, traders said, but come at a time when several ruptures and leaks in pipelines carrying Canadian oil have raised questions about reliability and safety. Since the Rainbow spill, TransCanada Corp. suffered two leaks and outages on its 591,000 barrel a day Keystone pipeline to Oklahoma from Alberta due two faulty equipment in pump stations.